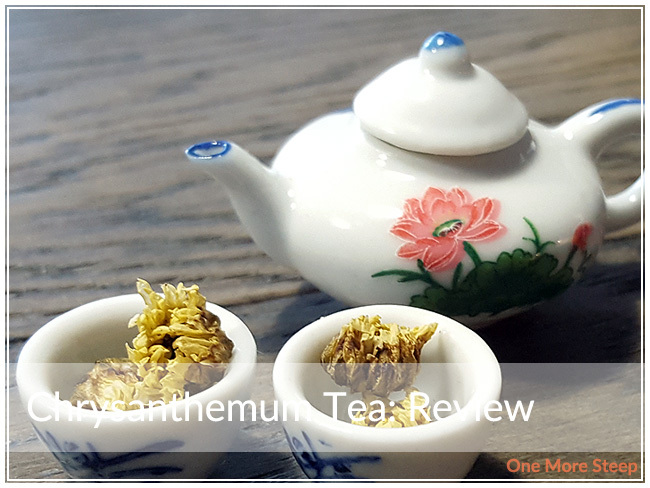 Grand Tea has provided me with Chrysanthemum Tea for the purposes of providing an honest review. 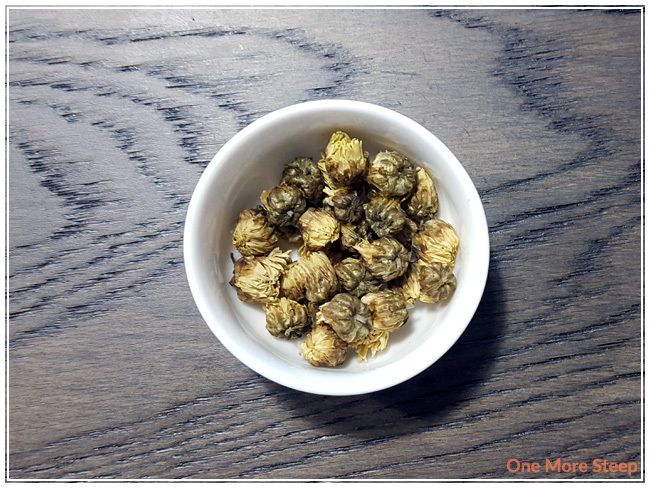 Chrysanthemum Tea is a floral infusion that I’m quite familiar with – it’s a common option available to be paired with dim sum (yum!). These floral buds came to me in a gold sample packet from Grand Tea, the chrysanthemum in this floral infusion are quite a bit younger than what I’m used to since they’re only partially opened. I found these chrysanthemum buds to be quite fragrant, it’s quite distinctly the floral aroma of chrysanthemum that also has a honeyed sweetness to it. This is a straight infusion, with no additional ingredients. 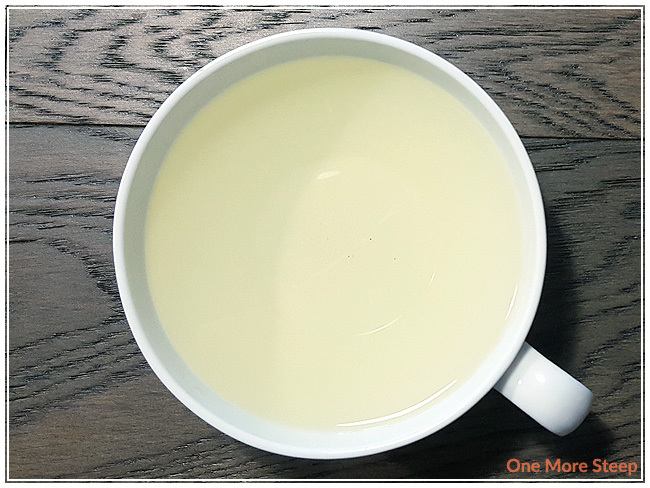 There is quite a bit of health information surrounding Chrysanthemum Tea on the Grand Tea website, surrounding health benefits – help with dizziness, headaches, and digestion; as well as potential side effects – interference with medications and allergies. When in doubt, always have a chat with your primary health care provider or pharmacist before trying new-to-you herbs, there could be an interaction with your medications. Grand Tea recommends steeping Chrysanthemum Tea in 80-90°C (176-194°F), there was no time included but I opted to steep for 5 minutes. The initial steep of Chrysanthemum Tea was a pale yellow that was surprisingly quite fragrant despite the lightness in colour. I found that it smells exactly like the dry floral buds, and might even be a stronger aroma. The buds opened up a little bit, and I found that the infusion is delicious. There’s just a hint of sweetness when I sip it that makes it quite enjoyable. There is a mention of mild bitterness on the Grand Tea website about this tea, but I didn’t find that to be noticeable at all. I generally don’t resteep herbal infusions because I find that the flavour can be quite lacking compared to the initial steep. 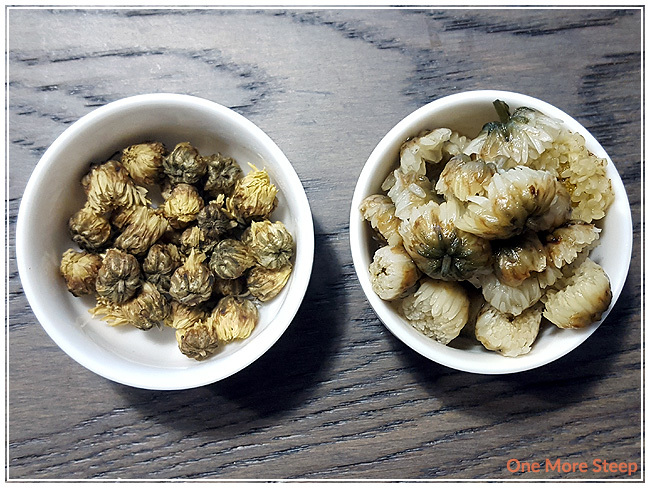 For Chrysanthemum Tea, I resteeped the floral buds twice, adding an extra minute per subsequent steep. I found both resteeps to be quite delicious, although a touch weaker than the initial steep. Despite that, I found that this herbal infusion resteeps decently enough that I would recommend doing it at least twice to get more value out of your tea. I loved Grand Tea’s Chrysanthemum Tea. 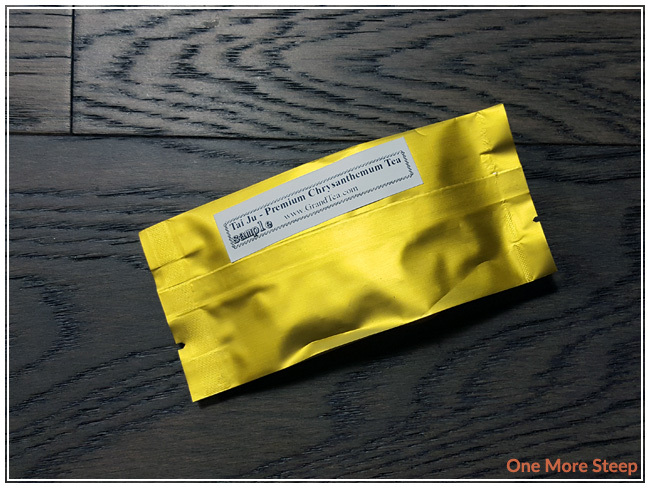 This is definitely an aromatic floral infusion that is delicious, has just the right amount of honeyed sweetness naturally occurring as the floral buds get steeped. I found that there was no bitterness at all, which made this floral infusion more enjoyable. Bonus, because it doesn’t actually contain tea leaves, this infusion is naturally caffeine-free and can be enjoyed at any time of day.